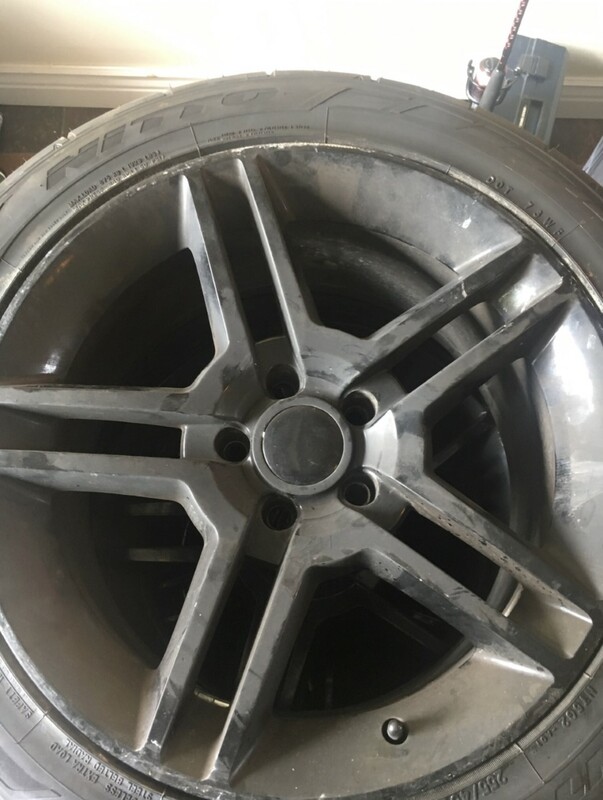 All 6 of the rims are in decent condition. They are matte black but need to be cleaned. 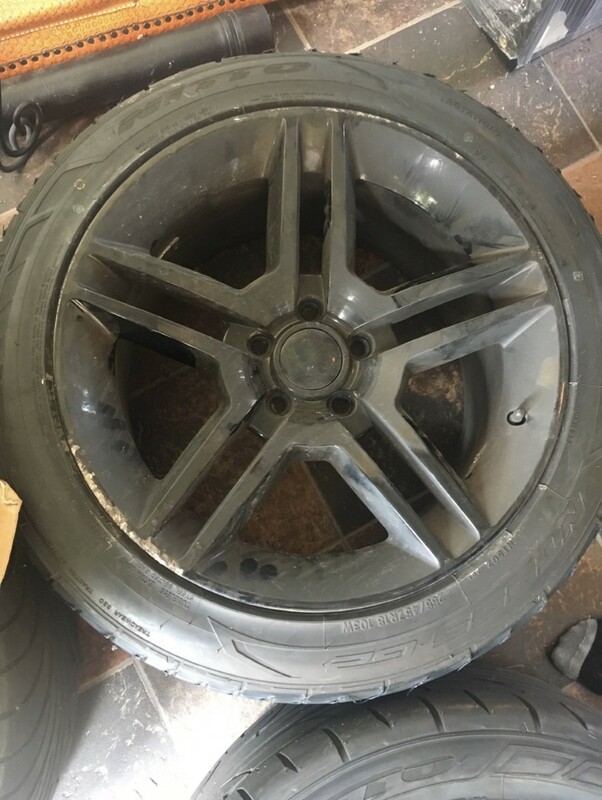 They have normal wear and tear, but one rim is scuffed up from a curb. 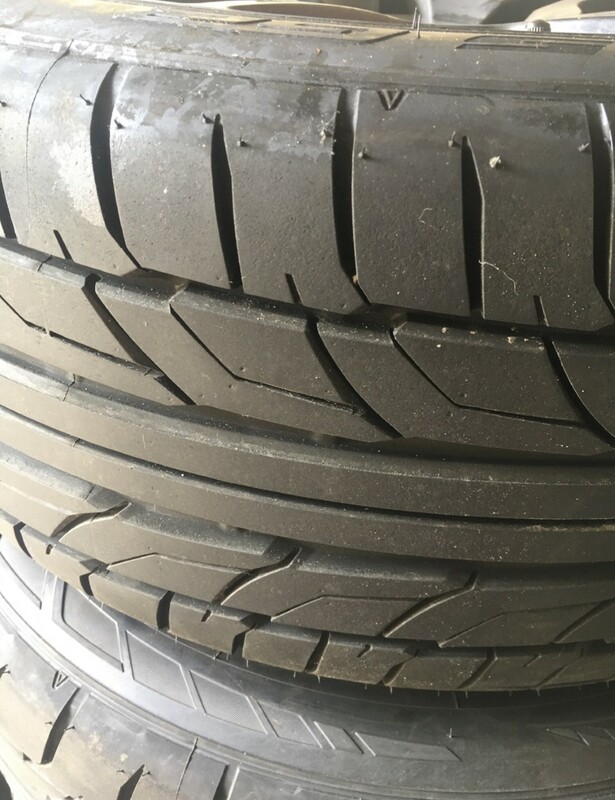 The 4 Nitto tires are pretty much brand new. 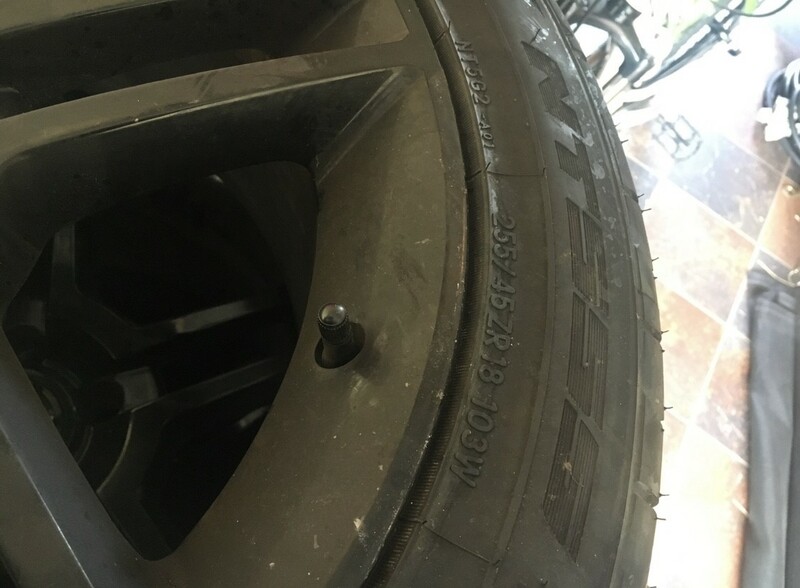 They were only on the car for about 2 weeks (1000 Miles). The one Sumitomo tire is practically brand new. It was used as a spare tire but was never put on the car.